Match ends, Internacional 2, Bahia 0. 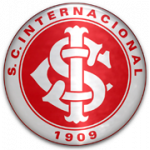 Second Half ends, Internacional 2, Bahia 0. Offside, Internacional. Patrick tries a through ball, but Nicolás López is caught offside. Júnior Brumado (Bahia) wins a free kick on the left wing. Gregore (Bahia) wins a free kick in the defensive half. Foul by Gabriel Dias (Internacional). Gabriel Dias (Internacional) wins a free kick in the defensive half. Foul by Júnior Brumado (Bahia). Gabriel Dias (Internacional) wins a free kick in the attacking half. Rodrigo Moledo (Internacional) wins a free kick in the defensive half. Attempt missed. Léo (Bahia) left footed shot from the left side of the box is too high. Assisted by Agustín Allione following a corner. Substitution, Internacional. Gabriel Dias replaces Andrés D'Alessandro. Corner, Bahia. Conceded by Fabiano. Attempt missed. Régis (Bahia) left footed shot from outside the box is close, but misses to the right. Assisted by Léo. Foul by Douglas Grolli (Bahia). Andrés D'Alessandro (Internacional) wins a free kick in the defensive half. Júnior Brumado (Bahia) wins a free kick in the attacking half. Foul by Víctor Cuesta (Internacional). Agustín Allione (Bahia) wins a free kick in the defensive half. Attempt saved. Brenner (Internacional) right footed shot from outside the box is saved in the top centre of the goal. Assisted by Edenilson. Attempt blocked. Brenner (Internacional) right footed shot from the left side of the box is blocked. Assisted by Andrés D'Alessandro. Substitution, Bahia. Agustín Allione replaces Zé Rafael. Brenner (Internacional) is shown the yellow card. Brenner (Internacional) wins a free kick in the attacking half. Substitution, Internacional. Brenner replaces Pottker because of an injury. Pottker (Internacional) is shown the yellow card. Delay in match Pottker (Internacional) because of an injury. Nino Paraíba (Bahia) wins a free kick in the defensive half. Substitution, Bahia. Régis replaces Vinicius. Attempt missed. Patrick (Internacional) left footed shot from the centre of the box is too high. Assisted by Andrés D'Alessandro. Corner, Bahia. Conceded by Rodrigo Moledo. Attempt saved. Zé Rafael (Bahia) right footed shot from outside the box is saved in the centre of the goal. Goal! Internacional 2, Bahia 0. Nicolás López (Internacional) left footed shot from the centre of the box to the bottom right corner. Assisted by Edenilson with a through ball. Zé Rafael (Bahia) wins a free kick in the defensive half. Foul by Rodrigo Dourado (Internacional). Nicolás López (Internacional) wins a free kick in the defensive half. Foul by Edigar Junio (Bahia). Attempt missed. Nino Paraíba (Bahia) right footed shot from long range on the right is high and wide to the left. Assisted by Vinicius. Attempt missed. Nicolás López (Internacional) left footed shot from outside the box is too high. Assisted by Pottker. Attempt missed. Andrés D'Alessandro (Internacional) left footed shot from the centre of the box is high and wide to the left. Assisted by Nicolás López. Attempt blocked. Tiago (Bahia) header from the left side of the box is blocked. Assisted by Vinicius with a cross. Corner, Bahia. Conceded by Víctor Cuesta. Attempt saved. Tiago (Bahia) header from the centre of the box is saved in the top centre of the goal. Assisted by Vinicius with a cross. Nino Paraíba (Bahia) wins a free kick on the right wing. Patrick (Internacional) wins a free kick in the defensive half. Léo (Bahia) wins a free kick on the left wing. Foul by Rodrigo Moledo (Internacional). Attempt missed. Gregore (Bahia) right footed shot from outside the box is high and wide to the right. Assisted by Elton. Substitution, Bahia. Júnior Brumado replaces Marco Antonio. Second Half begins Internacional 1, Bahia 0. First Half ends, Internacional 1, Bahia 0. Pottker (Internacional) wins a free kick in the defensive half. Attempt missed. Andrés D'Alessandro (Internacional) left footed shot from outside the box is too high. Vinicius (Bahia) wins a free kick in the attacking half. Víctor Cuesta (Internacional) wins a free kick in the defensive half. Hand ball by Pottker (Internacional). Goal! Internacional 1, Bahia 0. Nicolás López (Internacional) header from very close range to the bottom left corner. Assisted by Patrick with a cross. Attempt blocked. Patrick (Internacional) left footed shot from the centre of the box is blocked. Assisted by Iago. Delay in match Rodrigo Dourado (Internacional) because of an injury. Attempt blocked. Marco Antonio (Bahia) right footed shot from outside the box is blocked. Attempt blocked. Edigar Junio (Bahia) right footed shot from outside the box is blocked. Assisted by Elton. Attempt missed. Rodrigo Moledo (Internacional) header from the centre of the box is too high. Assisted by Andrés D'Alessandro with a cross following a corner. 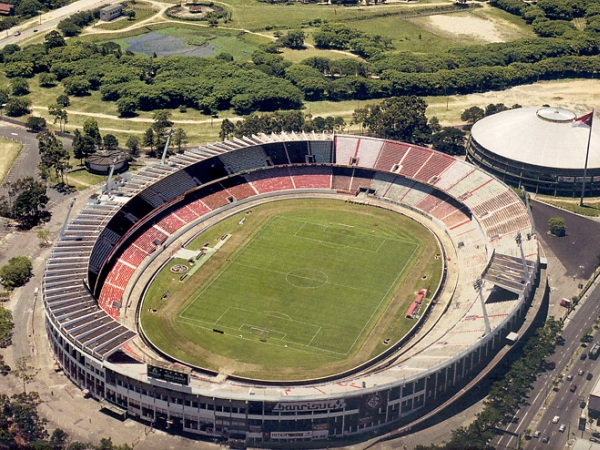 Corner, Internacional. Conceded by Nino Paraíba. Hand ball by Tiago (Bahia). Attempt missed. Zé Rafael (Bahia) left footed shot from outside the box is too high. Assisted by Vinicius. Attempt saved. Rodrigo Dourado (Internacional) with an attempt from the centre of the box is saved in the top centre of the goal. Assisted by Andrés D'Alessandro with a cross. Corner, Internacional. Conceded by Léo. Attempt missed. Léo (Bahia) left footed shot from outside the box misses to the right. Assisted by Zé Rafael. Attempt missed. Nicolás López (Internacional) left footed shot from the left side of the box is close, but misses the top left corner. Attempt blocked. Zé Rafael (Bahia) right footed shot from outside the box is blocked. Assisted by Edigar Junio. Delay in match Douglas Friedrich (Bahia) because of an injury. Douglas Friedrich (Bahia) wins a free kick in the defensive half. Zé Rafael (Bahia) wins a free kick on the right wing. Edenilson (Internacional) wins a free kick in the defensive half. Substitution, Internacional. Nicolás López replaces Rossi because of an injury. Offside, Bahia. Zé Rafael tries a through ball, but Edigar Junio is caught offside. Delay in match Rossi (Internacional) because of an injury. Attempt blocked. Rossi (Internacional) right footed shot from outside the box is blocked. Corner, Internacional. Conceded by Vinicius. Rossi (Internacional) wins a free kick on the right wing. Foul by Marco Antonio (Bahia). Tiago (Bahia) wins a free kick in the defensive half. Zé Rafael (Bahia) wins a free kick in the attacking half. Andrés D'Alessandro (Internacional) wins a free kick on the left wing.